Gluten-Free Living > Gluten Free > Celiac Disease > An A-Maizy-ing Performance: Meet Chef Maizy! An A-Maizy-ing Performance: Meet Chef Maizy! 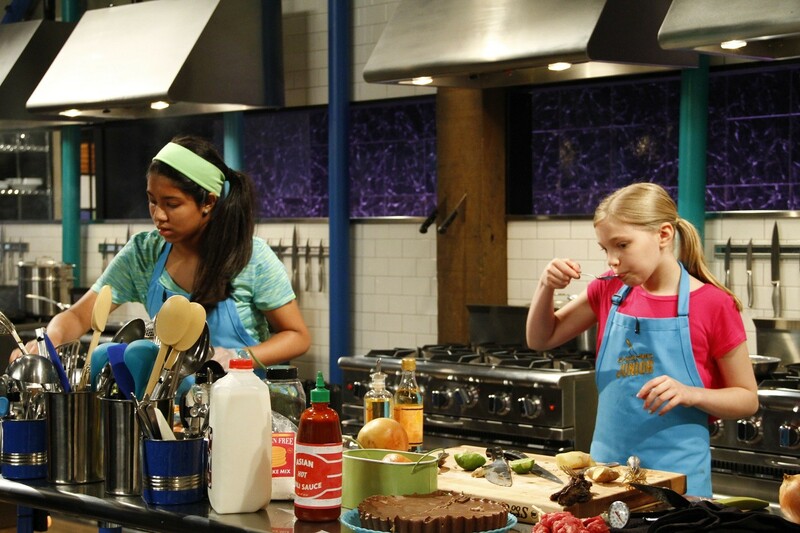 When 14-year-old Maizy Boosin won Chopped Junior in 2016, she inspired a generation of kids with celiac disease to feel like champions, too. I got the scoop from Maizy on her Food Network debut—and my first-grader came up with questions that she, and kids like her, most want to know the answers to. Jessica Press: So, what made you want to apply to be on Chopped Junior? Maizy Boosin: My mom actually applied for me, without me knowing. When she told me, I was just in between my two dance classes and I flipped out—I was screaming so loudly, people came to make sure I was OK! JP: Had you been a Food Network fan before that? MB: Yes. When I was first diagnosed with celiac disease, my mom bought me a journal, and we sat in front of the TV and watched Food Network for probably four hours. I wrote down recipes that stars like Giada De Laurentiis and everyone else were making, and my mom reassured me that even though they weren’t gluten free, we’d find a way to make them gluten free. JP: So you go from journaling about your Food Network heroes to being on Food Network—how did you get started cooking? MB: Once I was diagnosed, my mom said we were going to start cooking a lot more at home. So we began baking from boxed mixes, which was fun…at first. But I realized I loved watching my mom make more complicated things. So I gradually helped her more and more, and the rest is history! JP: Were you told before you competed on the show that all of the ingredients you’d be working with would be gluten free? MB: They told me that there could be gluten in the baskets of ingredients I’d be given to work with, but that I wouldn’t have to use it—so if they gave me a sandwich, for example, I could skip the bread but use the meat. That part was scary for me—but they actually reassured me while we were taping that the ingredients I worked with didn’t have gluten in them. JP: Did they give you any other help during the show? MB: They did not help us at all, other than telling us what we needed to know before the show. I got a cheat sheet telling me the basic things I needed to be able to do: butcher a chicken, break down vegetables, blanch things, pan sear, fry. Training for that at home was very rigorous, because I didn’t know how to do a lot of it beforehand. But now it’s cool that I can do all of that and have so much fun. JP: The judges were really impressed with the swaps you made to avoid using gluten—like when you knew to avoid soy sauce and use rice wine instead. How have you become so savvy? 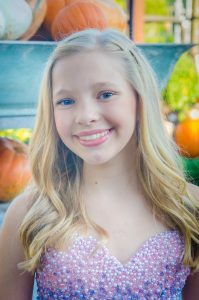 MB: Having celiac for so long now—I was diagnosed when I was 7, after having growth issues—I’ve always had to be very cautious and figure out every component of everything. In supermarkets, I know I have to check for artificial flavoring and coloring that may have gluten, and in restaurants I talk to the chef or manager to make sure the kitchen is avoiding cross-contamination. And, really, I wanted to show people that gluten-free cooking can be totally delicious. I was so happy when the judges said they liked my rice cake crumble so much that they were going to start making their crumbles the same way! JP: Why was it important to you to donate your winnings to the Celiac Disease Foundation? MB: I like to support Celiac Disease Foundation because they’re working on research to find medicine that could help people with celiac disease have less-severe symptoms after they’ve been glutened. So if a person knew they ate gluten, they could take the pill and their side effects wouldn’t be as severe. Last spring I accidentally glutened myself by eating a tortilla bowl that was made from wheat, not corn, and I had a stomachache for two weeks and had to miss three days of school! If I’d had a pill, I wouldn’t have had to do that. Now I’m a student ambassador for the foundation, which any kid with celiac can do, too. JP: You mentioned on the show that you’d love to use some of your prize money to get tickets to Hamilton on Broadway—did you get to do that? MB: Yes! I went with my grandmother and my cousin, and it was so much fun! JP: You also said—jokingly—on the show that maybe one day you’d combine your love of acting and cooking by doing dinner theater…so what are your real hopes for the future? MB: I would really like to become a chef and restaurant owner of a gluten-free restaurant. But for now, I’m pretty busy with dancing, acting, singing, cooking…and homework! JP: What are your words of encouragement to other kids and teens out there with celiac disease? MB: First: It gets way easier. It’s not as hard as it is at first. Once you get used to it, it becomes kind of normal, and it’s just not as big of a deal. Second, 3.2 million people in America have celiac—you’re not alone. Qs from the mind of 6-year-old Maggie, a first grader with celiac disease, answered by Maizy. Maggie Press: I feel shy at birthday parties for having my own cupcake and pizza. What have you done to feel like you fit in more or not call more attention to yourself? Maizy Boosin: I still often feel that way—even now that I’m older. So I try to put myself in the mindset that it’s better to have something, even if it’s different, than nothing at all! MP: What about sleepovers—do you avoid them, or how do you prepare for all the junk food and breakfast the next morning? MB: I’m actually a very social person. I love sleepovers and parties! I just make sure to ask ahead what food they’re going to have, and then I’ll either bring a bag of food, or if they mention something for which I know a gluten-free brand exists, I’ll ask them to get that instead. MP: Do you go to camp in the summer, or is that too hard to pull off? MB: I go to a performing arts sleep-away camp and they are great with kids with dietary restrictions. At first I was nervous about how they would handle celiac, but after meeting with the chef I was comforted by his knowledge of and carefulness with cross-contamination. Kids with dietary restrictions, allergies, celiac [or] diabetes line up in a different line than the rest of the camp and are given their meals in closed Styrofoam containers with their names labeled on the top. At first I didn’t like having to wait in a separate line, but once I saw all the other kids standing in line with me and realized the camp had our best interests in mind, it didn’t bother me at all anymore. My mom sends some food up to camp with me, like cereal and croissants, but really I don’t eat it that much. MP: I hate having to get bloodwork when I see my gastroenterologist. Do you get scared too? MP: What restaurants have your favorite gluten-free food for kids? MB: I’m a fan of California Pizza Kitchen—I like their BBQ Chicken Pizza, with pineapple on it. But my favorite restaurant of all time is Qdoba. They don’t have a dedicated fryer for chips, so I can’t get the chips there, but—as someone who considers herself a foodie—they have great-quality meat, which is hard to find at a restaurant like that. And their food is just so delicious. Plus, Qdoba is everywhere! When I go, I tell them I have celiac and ask them to change their gloves. Everyone who works there is really educated and aware of what I can and can’t have. MP: What do you pack for school lunch to keep from having the same thing over and over? MB: A lot of times I do leftovers from what I had the night before for dinner. Rice and beans and chicken travel well, or I’ll have a can of soup that’s been warmed up. Or I’ll bring a mason jar salad. It’s all about finding a great insulated container you can bring back and forth from school. MP: What are some good things celiac disease has brought into your life—besides Chopped Junior? MB: In third grade, soon after I was diagnosed, my family went to Disney World because my parents heard that Disney was so great with gluten-free [dining]. And my parents said that when I was in Disney ordering anything I wanted off the menu, it was the happiest they’d seen me since I was diagnosed. So now we go to Disney every year—and I have celiac to thank for that! Disney is seriously amazing with gluten—the managers have come out to tell me that they can modify everything on the menu. It’s just so easy there. Celiac has also given me a new perspective. Like, at first, I would’ve been like, “this stinks!” But now I realize I’m kind of lucky—I’ve been able to experience so many foods that I wouldn’t have tried before. It does make things harder, but it also makes things more fun—it kind of turns everything into an adventure.